Scan, test, diagnose and repair faster and more accurately than the other guys. Kick your brick to the curb and replace it with Encore. Encore Auto IDs, pulls codes and gives you the most likely fix faster. We combined more vehicle coverage and special tests into an easier to use tool so you can fix any vehicle. 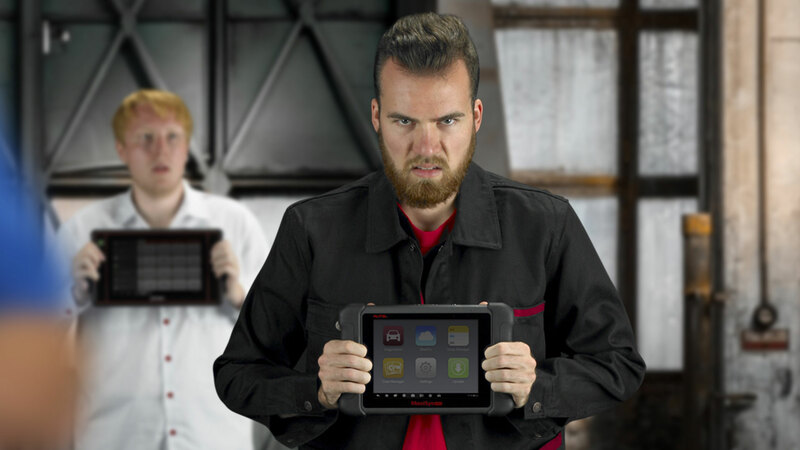 Angry at your scan tool? We didn’t like learning different button combinations for every vehicle either. That’s why the Encore features consistent navigation across all makes and models. Working on a Ford, Mazda, Toyota and Chevy today? The controls are where you expect. And if we say we have it, it works. Leave the anger behind. Pick up an Encore and actually get what you pay for. The coverage isn’t there. The fixes aren’t there. The tool’s slow. Had enough? We thought so. The Encore has more coverage, more fixes and faster navigation than your confusing pad scanner. Stop stealing your buddy’s Encore and get one for yourself. World leader of automotive technology, on every vehicle all over the world. The OTC Encore is fast at what counts, and that’s fixing vehicles. No tool is faster from code to fix, pulling the DTC and showing the likely repair. The OTC Encore is built around repair information, with 26 million fixes on-tool from Identifix, access to top repair networks and sources. Familiar ANDROID OS® and consistent navigation across all vehicles so technicians can focus on fixing cars, not learning a new tool. We’ve all got you covered, but the Encore wins with best-in-class 30 years of OE-level coverage focused on top vehicles technicians see in the shop every day. Pick up an Encore and actually get what you pay for. We recently put the Encore head-to-head against other tools on a 2007 Ford F-150. The Encore took first in fastest to the fix, on-tool and online repair information, ease of use and defined user PID selection. Encore was by far the easiest to use and to find Mode 6 information, The Encore is the only aftermarket scan-tool that offers Mode 6 information as an option in the data PID selection group. While all the other tools tested; the only way to find this same information was to back out of the enhanced software and use OBDII. The Snap On would only allow you to select one Mode 6 data PID at a time. When it came time to compare usability, the Encore had consistent navigation. 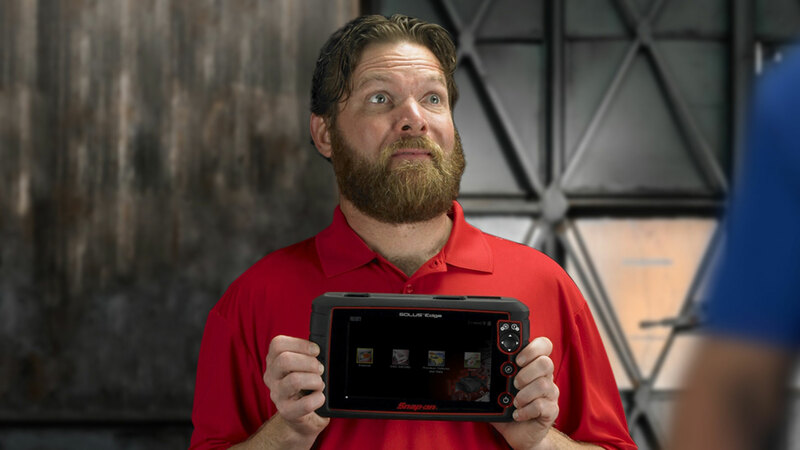 The touch screen on the Snap-on tool made it difficult to navigate through data, and we were forced to use the right handle key pad to navigate. 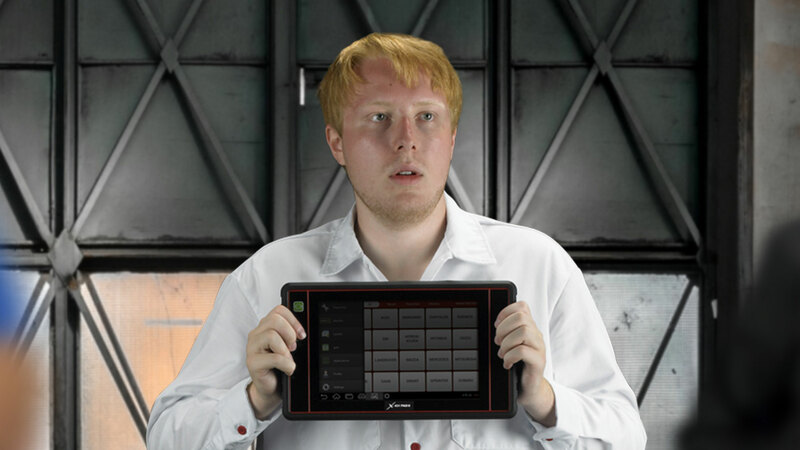 The Snap-on, Launch and Autel tools lacked user defined PID selections. We had to scroll through each one to find the new PIDs we were looking for. Check back for future year/make/model/engine tests to see how Encore stacks up. The shop-tough Encore is built to handle what you’re going to do with it. Impact-resistant ABS plastic and a multilayer screen can take it all. Large rubberized grips keep the tool in your hand until the job is done. A bright, 7” touch screen displays everything you need to fix the car, in nearly any light. The screen won’t washout in bright light or direct sunlight, so you can see no matter where you’re fixing. Direct, on-tool access to Identifix, iATN and all your favorite networks. 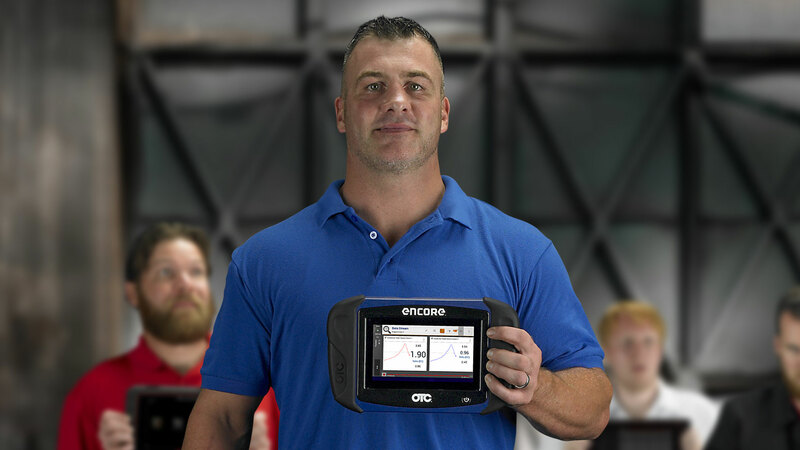 Encore keeps you at the vehicle with more on-tool repair info and fixes thanks to your shop’s Wi-Fi connection. Long Range Bluetooth pairs quickly and easily. Use to wirelessly reset and relearn TPMS sensors, test batteries and more. TPR and wireless Bluetooth battery tester sold separately. One tap takes you from reading codes to a pre-filled Google search. We pass along year, make, model, engine, trim level and code to give you the most accurate search results faster. Use your Identifix login to access all repair information directly on the Encore. We search Identifix for you, saving you time and helping you diagnose and fix vehicles faster.